It was suggested that LRED look into an indoor Farmers Market or an art gallery for the use of some of the empty buildings downtown. The upcoming Community Review and community forums was discussed (look for ads in paper). Discussion on the possibility of receiving a tourism grant, what it would include. Budget cuts no longer allow LRED to pay for a person to man the tourism booths. Historical register evaluated downtown buildings. They liked the grand avenue hotel, city hall, baptist church, and said the thrift shop and bar had some neat architectural features that were currently covered up. The buildings owned by Idaho Falls hospital next to the Grand Avenue Hotel had no historical register value. Dr. Kerry Casperson from Bengal Pharmacy invited everyone to the grand opening and spoke on the significance of Lost Rivers Medical Center housing the first telepharmacy in the state. The pharmacy also will play a role in the financial future of the hospital. Deli Shop said that they had to do everything through a certified commercial contractor. Suggestion was made to have a "Top Shot" event for a potential fundraiser. Businesses that have product (guns, ammo, bow arrows, etc.) could use the event as a marketing tool. Hospital announced: $20,000 grant for 3 air conditioning units; $25,000 grant to cover half the cost for a new roof; purchase of electronic medical record mandated by "Obama Care;" Shelley handed out the hospital's flyer of events; hospital is trying to get a cardiologist to come out once a week; the ribbon cutting for the grand opening for the hospital will be 10:00 am Friday June 20th - free hot dogs and hamburgers; ISU president will speak. 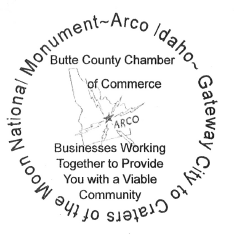 The Butte County Chamber of Commerce will hold their regular monthly meeting on Wednesday July 9th at 8:00 AM. The meeting will be held at the Mountain View RV Park on US 93 (southbound). 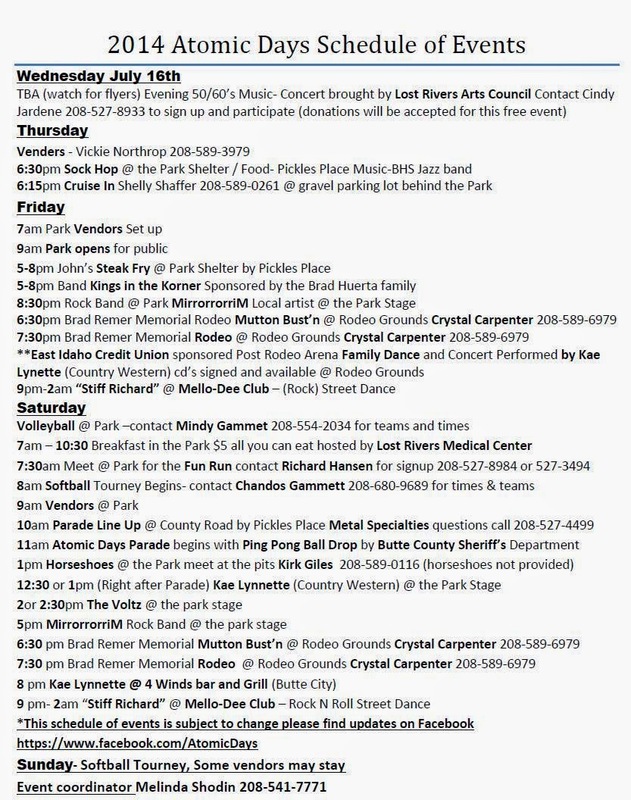 We will also hear a little bit about the upcoming Community Review to be lead by Lost River Economic Development with the help of the Idaho Rural Partnership.